Ever wonder what Rover is doing when you’re not around? Do you have an adventurous furry friend who likes to roam? Meet their new best friend, the TKStar Pet Tracker: a comfortable, GPS-powered dog tracking collar that monitors your pet’s location on demand. It can even be configured to alert you if they leave their home turf! Designed to fit medium and large dogs, the TKStar pet GPS tracker comes in a small package with a compelling slew of features, some of which are only seen in more expensive devices. Yet, it only costs around $40 (depending on where you purchase it — it’s available on Amazon and eBay). Tipping the scales at just 44g, its durable design is waterproof, so you can track your pet in every weather condition — rain or shine. 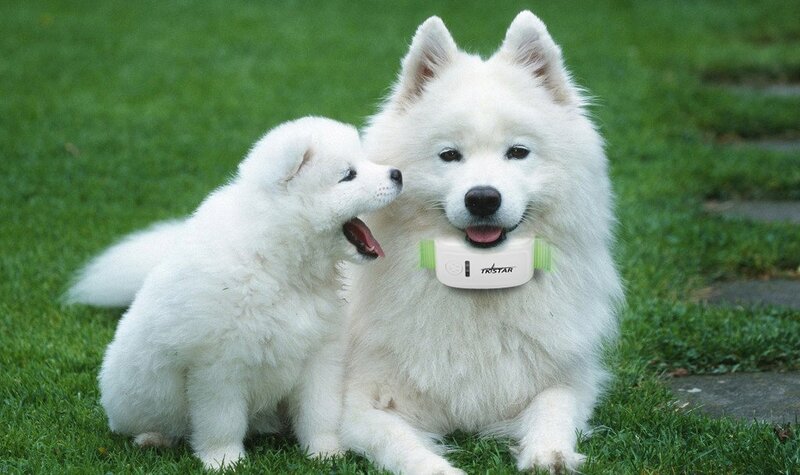 But the beauty of the TKStar dog tracking collar lies in its stellar battery life. With its integrated 1000mAh large capacity battery, it lasts up to an astounding 300 hours in standby mode. This means you only have to charge the tracking device once every two weeks, which is a lot better than many of the other products available on the market. For example, the Paw Tracker lasts two to five days on a single charge. I’ve used many different trackers for my own dog over the years, and the biggest annoyance was having to constantly remember to charge the tracker. So when I bought the TKStar, I was a bit suspicious of its acclaimed 300 hours — but boy, was I wrong. All I do now is set a reminder in my phone, and once every two weeks I take my dog’s collar off and charge it overnight. It’s as simple as that! Most other GPS dog collars and even vehicle tracking devices need to be tethered to your cell phone to receive GPS data. However, with the TKStar tracker, you simply plug in a SIM card and you’re ready to roll. If you don’t like the TKStar pet GPS tracker’s standard design with a black nylon strap, the device can be purchased in four other colors, including vibrant green and yellow. There’s definitely one to make your four-legged friend stand out from the pack. The package comes with your choice of collar strap, a user guide, and a charging cord with USB and charging adapter. The TKStar Pet Tracker has a bright indicator light on it, a paw print that basically serves as a “wake button” to turn on the device, and a SIM card slot and charging port. To start tracking your pet, all you’ll need is a SIM card and an Android smartphone or iPhone with the free TKStar app installed, which is available from the Apple App Store and Google Play. However, it isn’t strictly necessary to use the app. You can use any cell phone to get the location of your pet — just text the phone number associated with your tracker and you’ll get an instant text back with a Google Maps link of the location of your dog. Nevertheless, the app cuts down on a lot of these steps and has a more user-friendly display, making it straightforward to use features like the “sleep-by time” mode — which allows you to set the hours you want the device to enter sleep mode in order to save on battery life. To use the TKStar tracker, all you need to do is insert the SIM card until you hear a click and wait until the indicator lights turn on. The three different lights (green, blue and red) serve different purposes. A flashing blue light indicates that the device is searching for a signal, and it turns static when a signal is secured. The green light is for GPRS features, like using SMS to track your pet’s location, which will increase your monthly phone bill. A solid red light indicates the device is charging, and it shuts off when fully charged. The icing on the cake is the TKStar dog tracking collar’s geofence functionality, which allows you to setup a virtual fence around a designated area. 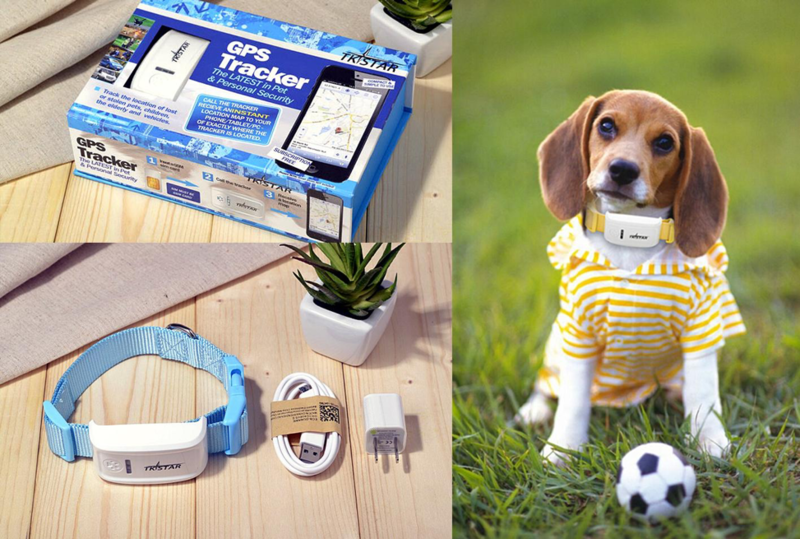 The tracker will alert you if your pet exits its perimeter. All you need to do is set the perimeter around your house in the app, and every time your pet exits this area, you’ll get an automatic notification through SMS or the app. 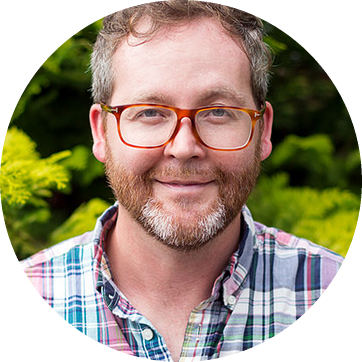 I set up the geofence the first day I got the tracker, and it definitely came in handy. I ran into quite a few times when my sneaky pup would escape while I was out. Luckily, I got a quick notification on my phone, and I was able to head home to find her, locate where she was escaping from, and patch up my defenses. With the device’s voice command feature, you can even call the collar and listen in to your pet’s surroundings — just in case you want to make sure your pet isn’t barking while you’re out. However, the TK Star Pet tracker isn’t perfect. It may be a bit heavy for smaller breeds, such as Chihuahuas and Yorkies. And as with all tracking devices, you will still have to bear the additional monthly fee of data charges. These fees are usually pretty small, depending on what SIM card you purchase for the tracker. Aim to find a prepaid SIM card that lasts for 365 days, and put $20 credit on it. This should last for an entire year of tracking. That’s just a small price to pay to get that peace of mind knowing where your pet is. 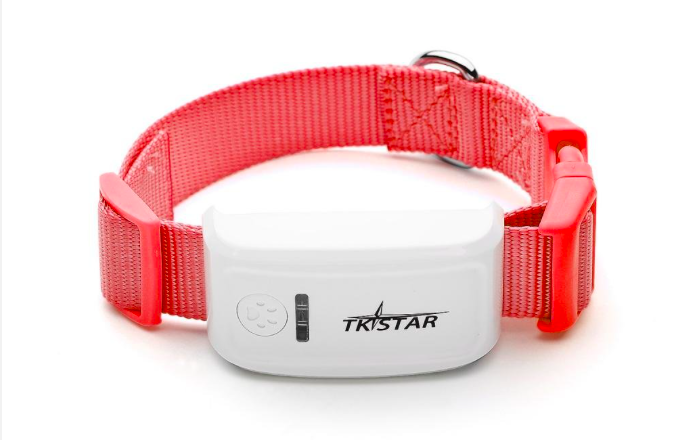 Whether you have an adventurous Fox Terrier that likes to creep under fences or an energetic Cattle Dog, the TKStar Pet Tracker is really a no-frills device that allows you to pinpoint exactly where your wanderer is. Let us know in the comments what you think about the TKStar Pet Tracker! When I bought the TKStar, I was a bit suspicious of its acclaimed 300 hours — but boy, was I wrong.